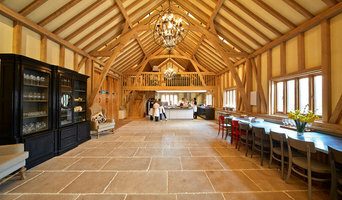 Hartwood Oak Buildings Ltd is a traditional oak timber framing business based in Newbury, Berkshire. 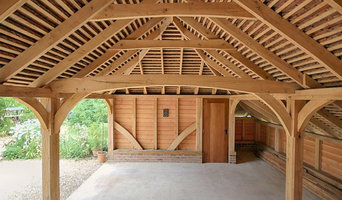 We design and create oak framed buildings in both traditional and contemporary styles. We are passionate about quality and finish and never compromise on materials or methods. The result of using oak throughout the entire structure, together with traditional jointing, is a building that looks beautiful and will last for generations. I'm Sarah Reed, Director at Ministry of the Interiors. 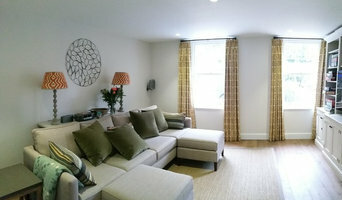 We are a unique company that provides full project management and interior design services based in both London and Sussex. We work with private clients and small high-end development companies in the UK and many foreign clients who are investing and developing UK property. For years now I’ve been an interior designer but my background in chartered surveying allows me to make decisions early in the build process and liaise with my exclusive network of builders, electricians, plumbers, and all the many specialist trades that are frequently involved in projects. From total ‘groundworks up’ renovations through space planning and layouts to the sourcing and installation of furniture, product sourcing and fine design details - my team and I create glorious, cool, stand-out and cohesive interiors and considered exteriors. Get in touch with us to book a design advice visit! Our mission is to improve your home with the care and attention it deserves. MK Professional Building Services specialises in providing high quality home improvements, extensions and refurbishments. We have been in business for over 10 years. With a wide selection of building services, ranging from extensions, garages and loft conversions to tiling, plumbing and electrical works, we pride ourselves on delivering a high standard of work to our customers. We have many satisfied and returning customers because we provide an excellent customer service. We aim to give you the best possible product with our promise that every project goes as smoothly and stress-free as possible, no matter the size. Our clients can be assured of an efficient, integrated and professional service at every stage of the project. From the inception and planning through to the completion, you'll receive daily updates of the project's progress. At every stage of the project you'll be working with Michael and the MKPBS team, instead of many uncontrollable subcontractors. Our friendly team of hardworking builders take the job seriously and handle with care always following the principle of listening to our customers and personally communicating with customers at each and every stage of the project being undertaken. We are happy to provide you with a free quote and professional advice. Contact us today. Fabric First Build are specialists in the Design, Project Management and Construction of individual homes, house re-modeling, conversions and large extensions for the residential market. We work in close partnership with the client and architect at every stage of the project, from early consultation through to completion. Our Project Managed Approach ensures we complete projects to the highest standards, on time and on budget with client input throughout. We create a home the client can be truly proud of. 'Best of Houzz' award winner 2017 and 2018 We are makers. As a design-led fabricator, we excel in creating beautiful interior pieces for our clients. Our high-tech workshop allows us to offer multi-material services including metalwork, cabinetry and Corian solid surface production. We thrive when creating the unusual, especially if multiple materials are involved in a single piece. Integrated project management allows us to manage large projects as well as build them. From extensions and loft conversions to kitchen and bathroom installations, Westcott Construction are a building contractor specialising in the high quality renovation and refurbishment of residential property in the South of England. Established in 2013, our reputation for offering a superior class of finish and service has grown rapidly and we pride ourselves on building long lasting relationships with our clients. Crown Designs are specialists within the Surrey, Buckinghamshire, Middlesex, Berkshire and West London counties. Crown Designs have worked completed projects in Ascot, Virginia Water, Farnham Royal, Gerrard’s Cross, Northwood Pinner, Windsor, Beaconsfield, Uxbridge, Isleworth, Ruislip, Stoke Poges, Richmond upon Thames, Chiswick and many more. And build solution covering all aspects of residential construction projects. Crown Designs deliver a complete design and build solution covering all aspects of residential construction projects from loft conversions, extensions, refurbishments, internal alterations, new build, flat conversions, remodelling and many more. Specialists in the restoration of period properties and the design & manufacture of superb Hardwood & Aluminum Orangeries and conservatories. Extensions and new builds. We are full design and build company, with a specialism in bespoke carpentry, based in the heart of Hampshire, working in the South of England. We will meet your requirements to any aspect of building work to a very high and professional specification, including beautiful kitchens with both modern and traditional features. RESI Solutions are a privately owned development company based in Reading. Established in 2014 to specialise in innovative residential developments in and around Berkshire. An ambitious company with a fierce growth agenda RESI evaluates strategic opportunities with the aim of increasing their portfolio in key locations. Creative in thinking, RESI continually promotes innovative ideas and seeks out similar-minded businesses as partners. RESI primarily work with investors and larger site owners. We help our clients add value to their portfolio by helping them to achieve planning permission, designing external and internal elements of commercial or residential refurbishments/new builds or work as a build contractor to produce our clients visions. RESI also have our own strong residential portfolio and are always on the look out for new sites to acquire. RMR are a family run business who pride themselves on focusing solely on a small number of clients at any one time. We specialise in lifestyle focused home conversions, working closely with you from initial design to final completion and everything in between. With exceptional craftsmen and products, including our own range of signature Kitchens, RMR provide trusted, high quality building services to make the most of your time. I design and build original garden buildings and offer complete landscaping services. I typically work in timber, stone, brick and concrete but enjoy working with many different materials. I endeavour to make my work unique, sometimes sculptural and always site specific. I don't offer 'off the shelf' garden offices. That said, If you have a fixed idea of what you want then I'd be more than happy to build it for you. If you are less sure of exactly how you want the build to look, then I could do a full design, or we just allow the build to evolve as new ideas land. I am a qualified designer but get more enjoyment from realising ideas in three dimensions. I have spent the last 12 years working in construction, gaining vast experience in house building, landscaping, groundworks and civil engineering. The garden buildings are a new venture for me, as building houses off of an architects plan didn't allow much room for creativity. Garden buildings are also much freer from planning constraints which gives more scope to have fun. 'custom is all about ideas, about creating the right space for the right lifestyle, about design, function, environment and installation. above all custom is about you, our customer.' 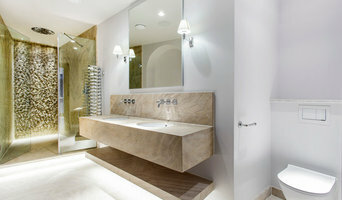 design it Our approach to interior design at Custom, is both structured, and responsive. We fuse established design principles, such as ‘form’ and ‘function’, with ancient holistic practices, like Feng Shui. We believe that if a space is designed effectively, it can promote lifestyle, inspire creativity and even improve harmony with the environment. build it Everyone in the company is an expert in their field, and each has a great understanding of the building industry as a whole. We are youthful, energetic and enthusiastic. We are also dedicated to, and well known for, our approach to sustainable construction, always striving to recycle and use the latest environmentally friendly and energy efficient products. In order for the above to continue, we have an ongoing apprenticeship scheme for school leavers, designed for finding and nurturing the very best in young talent. live it Lifestyle, health and wellbeing are our guiding aspirations. We are passionate about our outdoor pursuits, and we are as well known for our herbal tea breaks and vegan lunches, as we are for our abilities in design and installation. We believe that this positive energy will be absorbed into the very fabric of everything we do. Then its over to you really … move in, engage, enjoy! A design and build company does pretty much what it says on the tin – designs and builds your home; helping you design your own house from scratch, pick out the small details and actually bring your dream home to life. They will take on the responsibility of planning the project, drawing up the designs, costing, sourcing the building materials and supplies, building the structure, installing any permanent features and possibly advising on the interior design of your home; all while consulting you every step of the way. A design and build company in Itchen Abbas, Hampshire will usually employ in-house architects to handle all of the technical design aspects of your renovation or build, whether that’s to design a house or just a kitchen, and will also have main contractors or project managers that will oversee the construction work. The project managers will either work with external building contractors or construction companies, or the design and build company may employ their own builders to carry out the construction work. Either way, all the work is managed by one company and so this means communication is easier and the work is more streamlined. You’ll probably have just one design and build contract, making responsibility simpler and clearer, and also reducing costs for you. However, you should always check this design and build contract closely to see exactly what the firm is agreeing to take responsibility for, so that you don’t get left in the cold at any point. You don’t have to build your own home to hire an Itchen Abbas, Hampshire design and build firm. If you are renovating one or a few rooms of a house, a design and build company in Itchen Abbas, Hampshire can still help you – they can design a kitchen, bathroom, bedroom or living room and then complete all of the renovation work for you. 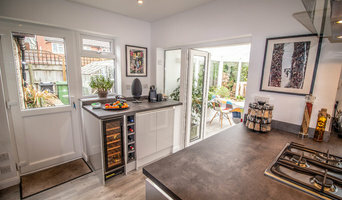 This could be a really good option if you are selling your home and want to increase its value quickly – hire a design and build firm in Itchen Abbas, Hampshire to redesign and renovate a few rooms of your house without the hassle of dealing with various professionals or the time-consuming effort of doing it yourself. If all of this sounds ideal, then start searching for design and build procurement companies in Itchen Abbas, Hampshire that can design a house, or room, for you and discuss design and build contracts with you. If you want to look for more specialised contractors, designers, architects or builders to help you renovate or build your own home, then you can still find them on Houzz. Here are some related professionals and vendors to complement the work of design & build: Interior Designers, Landscape Architects & Garden Designers, Architects & Building Designers, Photographers. How long have you been an established design and build company in Itchen Abbas, Hampshire? Find a design and build company on Houzz. Narrow your search in the Professionals section of the website to Itchen Abbas, Hampshire design and build contractors. You could also look through Itchen Abbas, Hampshire photos to find a project you like, then contact the design and build company in Itchen Abbas, Hampshire that created it.